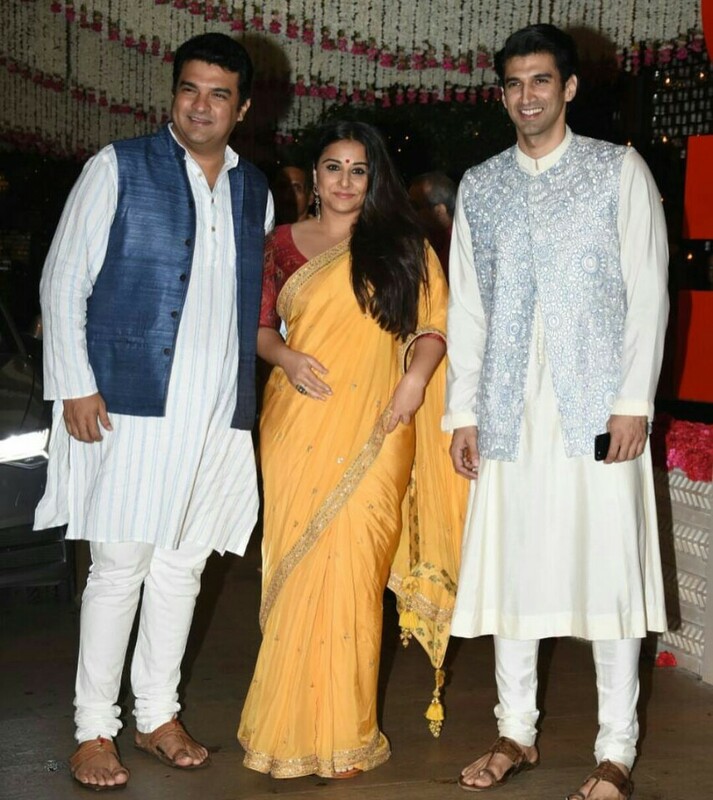 Home / SuperSerials / Tech Makoda / WildCat International / Vidya Balan, looking the quintessential Indian woman, as she heads for Nita Ambani's #GanpatiDarshan at Antilla last night! Vidya Balan, looking the quintessential Indian woman, as she heads for Nita Ambani's #GanpatiDarshan at Antilla last night! The actress who's always impressed us with her absolutely lovely looks and her enthralling smile, Vidya Balan looked effortlessly beautiful in her ethnic avatar. Vidya was spotted heading to Nita Ambanis's Antilla to seek blessings from Lord Ganesha. The Tumhari Sulu actress posed with her beau and her brother in law in all smiles. Vidya was also seen sharing a joyous moment with the queen of all hearts, Rekha ji and they were surely spreading happiness through their infectious smiles! Well, with that beautiful smile and all the positive energy around this actress, we are definitely looking forward to see her on screen for #TumhariSulu.